Following in its tradition of continually evolving the landscape of Tequila, Milagro Tequila today announced its latest product innovation, as it launches UNICO, a super premium, limited edition micro distilled joven blend. Available nationwide in extremely limited quantities, UNICO promises to challenge the category and set a new standard for Tequila. Developed by Milagro Tequila founders Daniel Schneeweiss and Moises Guindi, the entrepreneurial team spent more than two years alongside Milagro's Master Distiller Pedro Juarez crafting this highly specialized liquid that blends a micro-distilled silver tequila with Milagro's rarest and finest barrel-aged reserves. The resulting liquid is agave-forward with hints of caramel, vanilla and black pepper, and an exceptional long, warm finish. "When we started Milagro, we set out to produce the best tequila in the world. Today, our goal is still the same, but with Milagro UNICO, we wanted to evolve the tequila category," said Daniel Schneeweiss, Co-Founder of Milagro Tequila. 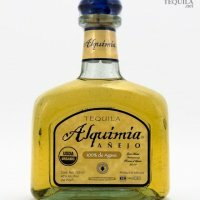 "By combining old world techniques with modern innovations, we created a product that takes you through a journey of everything tequila has to offer - all in one glass." As a true testament of Milagro's dedication to quality, a "kitchen distillery" was built in Jalisco to produce a limited edition 5,000 liters of unique, micro distilled silver that serves as the base for Milagro UNICO. By using more than 13 kilos of hand-selected agave per liter, Milagro is able to concentrate all the flavors of the agave which gives the silver tequila an unparalleled flavor profile and strong agave forward taste. The base is then blended with proprietary proportions of aged reserves and rested for 30 days so the tequilas can marry while still retaining many qualities of their individual flavor profiles. The liquid is then taken through a highly specialized filtering and oxygenation process to enhance the blend and remove its color. 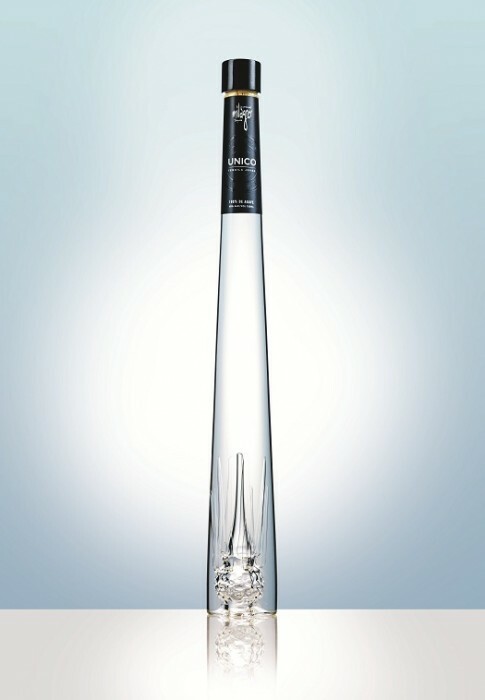 Finally, this exceptional tequila is presented in a unique bottle, featuring the signature "pina" (the heart of the agave plant) hand-blown inside the glass. "With its crisp, clean, fresh profile and strong agave flavors, Milagro UNICO sets a unique precedent in tequila craftsmanship. We're proud to push the envelope, raise the bar and continue to offer unique and innovative products to consumers," said Tom Wade, US Brand Manager for Milagro Tequila. This limited edition product was previewed to top bartenders at Tales of the Cocktail 2011, and is now ready for a strictly limited edition, numbered release in both the on and off premise. With only 1,200 bottles produced, Milagro UNICO is currently available at a RRP of $300 with an ABV of 40%. About Milagro TequilaFounded in 1997 by Mexico City natives Daniel Schneeweiss and Moises Guindi, Milagro Tequila and has quickly escalated into one of the world's leading tequila brands with one foot in tradition and the other in the future, combining the finest old-world techniques and traditions and applying modern technologies and processes to produce a superior product. This award-winning tequila brand from William Grant & Sons captures the spirit of modern day Mexico, from its entrepreneurial founders and artisanal bottles to the ingredients and distillation process. The Milagro Tequila range consists of six expressions, with Silver, Reposado and Anejo expressions of the Core and Select Barrel Reserve ranges respectively. All Milagro expressions are triple-distilled in small batches from 100% estate-grown blue agave. Milagro Silver is crisp and clear, and is renowned for its smoothness, mixability and agave-forward taste, making it perfect in the signature Freshest Margarita, made with agave nectar and fresh lime juice. All Milagro Tequilas have an ABV of 40% and retail for $29.99 for the core range and between $51.99 and $89.99 for the Select Barrel Reserve range. For more information, visit www.milagrotequila.com.